Texas Akita Rescue View other Akitas for adoption. Hello my name is Angie I currently reside in Texas but Im from Louisiana... I love furbabies and this is how Princess came about. I rescued her mother from a McDonalds parking lot. 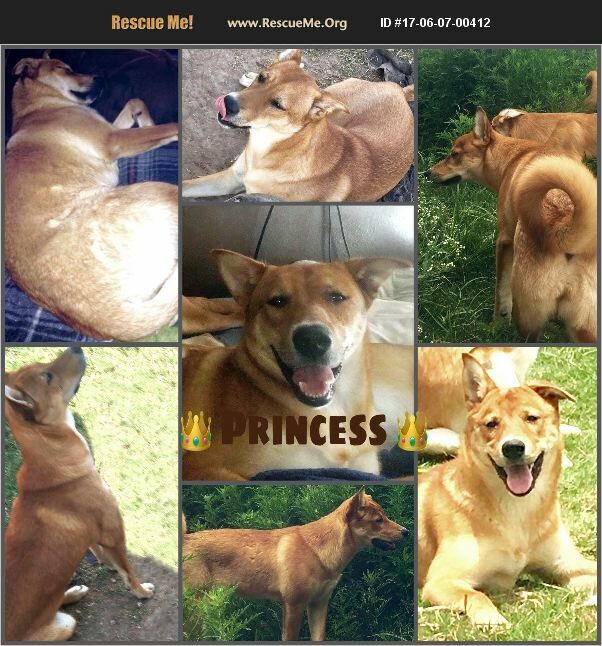 I do not know her exact breed however she look similar to an Akita mixed with American Dingo. Princess is really sweet. I didn't know her mom was pregnant when I rescued her but her mom temperament is calm, protective of her human, lovable, and attached. Princess look just like her but she is small/medium sized compared to the others in the litter she is the smallest, 38 Ibs, she is the one from the litter that is most identical to her mom. She also would make a great guard dog. When she hear someone at the door or any sounds she is very aware and may bark. She love to playfully bite but she is never aggressive with playing. She does have food aggression so she would have to not be fed next to any other dogs but she is ok with humans, when feeding her snacks I throw for her to catch because she will unknowingly bite my finger. She is curious in regards to cats but she sleep with my cats in my bed. I currently still have all 7 puppies from their litter but they are 12 months old now and they have a strong pack drive and now they are competing for Alpha status. Also they are very expensive to feed and I cannot dedicate to them all of the attention they deserve. They have attachment issues which Im sure will be easily adjustable once the transition to a new furever home happens. She is an inside dog. She doesn't have any vaccines, however I have her on flea meds (advantage 2 every four weeks) and every three months I give her dewormers (from lambert supply store). She may be a bit cautious at first with adjusting because they are really loyal dogs but once she is comfortable with her new family she will be very loyal. She is housebroken, knows her name and also basic commands such as shake and sit. I love them dearly and my last resort will be to surrender them to a shelter which here isnt a no kill shelter because they are all full. The puppies are very calm and sweet separated but together they are really mischievous. They are cramped inside my house and they all need their own spaces. Please contact me if you think one of my furbabies is a great fit for you! Thank you for taking the time to read this and my contact info is 2817104673 (home number that I can also receive text on) and also thomasangela20@gmail.com, it's better to email me since Im having issues with my home phone service. If you would like to have her added to your family and then decide that it isn't working out I will definitely take her back Bless you!